Techjockey The only B2B online software ecommerce for businesses and individuals. No Item in Cart !! NAVBUILD is built on top of the popular ERP Suite, Microsoft Dynamics NAV, which makes it the preferred choice whenever there is a demand for an end-to-end solution for project-specific needs. Microsoft Dynamics NAV is feature rich in addressing the standard business functions. The integrated development platform of NAV is designed to extend the capabilities of the project module and is responsive to customization and fine-tuning of features for meeting specific requirements, making it the most powerful, comprehensive, and focused package. 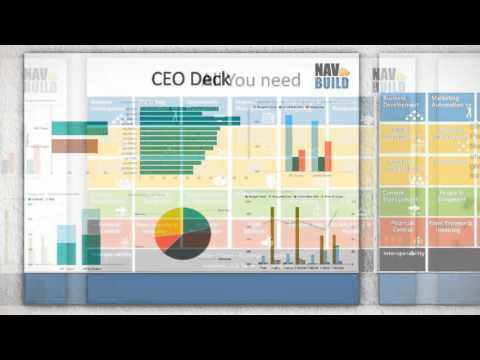 NAVBUILD a comprehensive solution for Project Centric Business. NAVBUILD goal is to gain the satisfaction and goodwill of our clients. Key to our longevity and stature in the industry is the importance CETAS places on relationships - both outside and inside the company. This means listening to the company's clients and employees and actively seeking their feedback in designing, developing, and supporting our products. NAVBUILD associations with their clients are always long-term in nature. NAVBUILD commit the highest level of customer satisfaction by ensuring unmatched support and consulting services which increase their overall productivity. NAVBUILD practice the highest standard of business ethics and fair trade practices which benefits all the stakeholders. NAVBUILD are guided by these principles in our interactions with each other, with our customers, and within our community. NAVBUILD value those who are eager to explore, question, challenge, and be challenged. NAVBUILD will embrace new technology, maximizing its potential to their company and to their customers. NAVBUILD can help you to handle sequential and parallel work flow demands in your organisation to achieve absolute control over project budgets. Navbuild supports work flow request and authorisation over SMS makes to more effective. NAVBUILD is powered by DYNATEXT a notification engine developed on top of .net which allow users to communicate adhoc, routine and exceptional informations over SMS and Email to both internal and external contacts as configured. This level of automation increases productivity and aids to build a more pro-active work culture. NAVBUILD is powered by DYNAQUERY a reporting tool which allows to define table views through which reports can be designed much faster. The tool allows users to build reports which can be viewed on their move and also to schedule them to key stake holders. NAVBUILD site management is powered by mobility. The entire site management functions can be executed through mobile and data's can get synched on a real time basis. This app helps users to efficiently perform their job and it turns the entire work environment highly productive. This module brings extra-ordinary improvement to the supply chain and ensures highest level of transparency the process. The vendors will get notified about an opportunity to serve instantly and their prompt services will be measured and rated appropriately along with the quality standards. Is this product information sufficient? Please comment the reason of insufficiency. Is the product pricing clear to you? Please Enter the Price related doubt. Want This Video in Your Inbox?